In April 2013, a news update on farmers in different districts of Bengal throwing their produce of tomatoes on the road shocked viewers. These farmers were infuriated with the fact that wholesalers were offering them only 25 paise per kilo. If they sold at these prices, they would have incurred heavy losses as there was a massive mismatch between the production cost and the cost of selling. This is not a rare incident, as similar cases have been reported across the country for many years. Farmers have been even driven to take the adverse step of killing themselves due to poor crop yield. In the last 2 decades, over 3 lakh farmers have ended their lives. It is estimated that forty one farmers commit suicide every day. Figures released by the Ministry of Agriculture in July 2015, state that over 3300 farmers have committed suicide due to agricultural reasons in the last 3 years. Most suicides are committed as farmers are under intense pressure to pay back the mounting debt — especially when crops fail. While Indian agriculture has been the single largest source of employment in India, there is a big mismatch, as the yield does not match global standards. India has a yield rate of 2.4 tonnes per hectare, compared to China which has nearly double the yield at 4.7 tonnes per hectare. 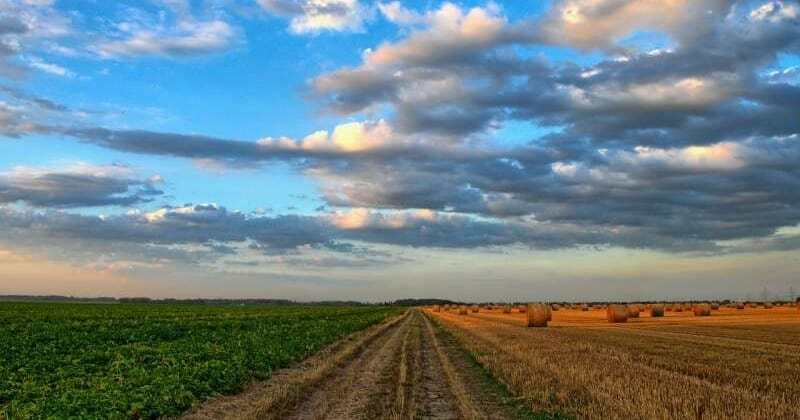 Startup CropIn Technology wants to change this scenario through its vision of digitizing agriculture by using a combination of cloud-based technologies and mobile phones to improve farm yield. Started by founder and CEO, Krishna Kumar, an engineer by profession, Kumar worked for more than four years with General Electric, and was a fast track executive with a great future in GE having been one of the few selected ones for its Global Leadership program. With a passion to bring state of art technology in agriculture, the founder left his lucrative job at GE and soon Kunal Prasad a childhood friend and classmate of Kumar joined him after completing his MBA as COO. Kumar brought in his experience from Tata Motors in dealer management. 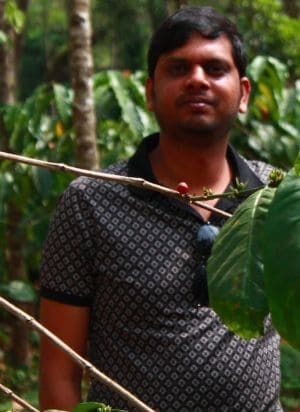 Later Chittaranjan Jena who had experience in supply chain management, joined as CTO. Explaining the vision, Krishna Kumar, CEO, CropIn Technology, says, “CropIn Technology was established in August 2010 to develop and offer on a low cost pay model as you use product on an IT platform on cloud integrated with a Windows or Android-based smart mobile app. The vision was to bring affordable state of the art technology in agriculture and the mission was to make every farm visible online, make every farmer adopt the best global agricultural practices and to make every crop traceable so that harvested crops meet global quality standards and thus become export worthy. This technology impacts the livelihood of farmers at the bottom of the pyramid by generating more productivity out of the same farm.” By using a mobile app developed by CropIn Technology, a surveyor can input details related to a farm and monitor the efficiency of a farm. Crops are regularly monitored on a thorough basis with respect to fertilizer sprayed and detection of pests, if any. Regular monitoring of fertilizers is essential to ensure that the crops exported are compliant with the required safety levels of different chemicals as prescribed by different countries for consumption. The mobile app captures information related to the farm surveyed and relays it back to a cloud-based server. The cloud plays a pivotal role in the success of the solution. “The cloud enables our customers to deploy this solution quickly, as it just takes five days to go live with this solution. From a speed and quality perspective, this is akin to a customer getting a Mercedes vis-à-vis a bullock cart,” states Krishna. CropIn also uses BI to provide in-depth analytics to help farmers raise their productivity levels, and discover new opportunities. “By using our mobile app, 600 acres can be covered in one man day vis-à-vis the 90 man day period that is typically required. We have also been able to raise the farm productivity and acreage by a minimum of 10-15 percent. For large farms, the ROI can be quite significant,” explains Krishna Kumar. While the initial six months were challenging was CropIn Technology, the first ray of hope came when Safal, the NDDB arm asked the team to do a pilot. The success of the pilot attracted multinationals like Field Fresh and PepsiCo who asked for proof of concept and once they found that CropIn Technology platform was better than any other technology they had ever seen before, they placed orders on CropIn. The challenges faced during these two years were to convince the four multinationals why they should trust a startup company and how this technology can transform agriculture for farmers as well as for corporates. “We physically worked with these companies and their contract farmers in their farms, and understood the finer nuances of the agricultural business, their supply chains, the market dynamics and the customer needs at each process. We then modified and co-created and evolved the platform in all its sophistication that it is now today,” states Krishna. The CropIn platform is also playing a key role in connecting farmers to financial institutions. Banks like HDFC are using this technology to provide unsecured loans to farmers. CropIn is helping HDFC Bank to reach the farmer faster, collect the required information remotely and in real-time. This fuels up the loan process and cuts short the timelines, making loans available in a short span of time. The opportunities are huge for CropIn across the agriculture landscape as the product can be customized to be used by banks (to track the farmers who take loans from them),seed producers, contract farming companies, food processors, exporters, fertilizer companies, pesticide manufacturers, agriculture and horticulture research and development agencies to experiment or benchmark practices for best yield. Today Cropin works in 14 States covering close to million farms. “We have supported crop worth of 724 crores. In FY 14-15 CropIn managed more than 50 different crops like spices, cereal crops, cotton, soyabean, sugarcane,Tea and other plantations crops,” states Krishna. The firm today supports more than 40 agro-based companies like Godfrey Phillips India, ITC, Mahindra, McCain Foods, FieldFresh, OmniActive, Ankur Seeds, IFB Agro, Savannah Seeds and S A Rauther. These firms manage their farmers and farms using CropIn’s platform, which ensures productivity and quality at every farm. As the firm uses analytics, it is helping in removing any known biases. Krishna says that every byte coming from the farms has something to say and the firm tries to understand this using its algorithm. For example, millions of data sets from millions of plots of cotton when processed in real-time, it generates enough insights to help similar farmers. These data sets when combined with factors such as soil information and weather patterns help the firm to create new practices and do crop modeling which could be very specific to region, state, district, village or even specific to a single plot. “We are helping the farmer and companies/Intermediaries to work in collaboration to increase the yield and reduce the losses due to pest and disease. We have seen a 12% increase yield and 18% reduce in losses at farm gate due to pest and diseases as they get advice real-time from experts,” says Krishna. Buoyed by the response, CropIn plans to reach and support 5 million farms in the next 3 years. CropIn has launched an online platform for small agro-entrepreneurs and small agri-business to signup online and start using this technology to monitor and digitize their farms and follow best practices. “It’s as simple as setting up your social networking sites like Facebook or Twitter. It’s a low cost model and one can start monitoring his farm by paying as low as Rs 20/acre. We are calling it as smartfarm.cropin.in,” says Krishna. The firm believes that this low cost will allow technology to reach every farm of the country and one can manage-monitor and market their farm irrespective of the size of the farm. While India is already a known leader in producing commodities like milk, coconuts and black pepper, the opportunity to transform Indian agriculture is significant with the help of information technology. If CropIn succeeds in transforming even a minor part of our agriculture ecosystem, the catalyst effect on India could be truly huge and transformative in nature. How a startup wants to transform Indian agriculture by using the cloud 0 out of 5 based on 0 ratings. 0 user reviews.